Back in January I bought a new backpack and it was a long overdue purchase because my old backpack was literally falling apart after about 10 years of hard use. My old backpack was an Oakley model that I bought in San Diego and it served me well over the years, but it wasn’t exactly state of the art. After a lot of research, looking at backpacks from a variety of different companies I finally settled on buying a Synapse 25 from the Seattle based Tom Bihn company. Last year I purchased a Ristretto Laptop bag from Tom Bihn and I was really impressed by how sturdy and well designed the bag was. That made me lean toward buying another Tom Bihn product, but I did seriously consider a number of other high end backpacks before pulling the trigger on the Synapse 25. After having used the Synapse 25 on a nearly daily basis since I received it in late January I can unequivocally say that I am very happy with my decision. Once you use it for a few weeks you really appreciate how well designed the Synapse 25 is. The pack has 5 external pockets and those are extremely useful. The main compartment is spacious and the overall capacity of the backpack is 25 Liters. I highly recommend this backpack. At $200.00, it is at the upper end of the price scale for a backpack of this size, but I think it is well worth it because it is so well made that I anticipate that I will get many years of use out of it. I also love the fact that it is an American made product. This app enables you to download maps of large and midsize cities across the U.S., as well as in other countries. The maps are very well detailed and useful, especially when you go offline. I discontinued my ATT service for my iPad well over a year ago and I go wifi only now, so this app is particularly useful to me now. Are the maps as good as Google maps or Mapquest? No, but they are definitely detailed enough for you to find your way around with. This app is a specialized app that provides the user with discounted hotel rates in select cities in the U.S., Canada and Europe (although primarily in the U.K. at this point). However, the rates provided by the app are only for same day/night that you access the app. 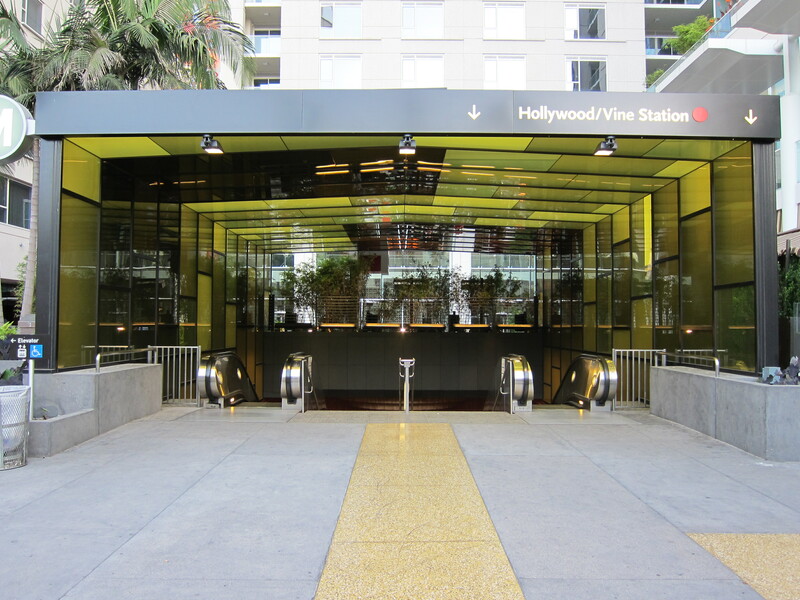 For example, if you traveled to Los Angeles or New York tommorrow morning and had to stay over for between one and five nights the app would show you hotels that have rooms available at discounted rates for any where between one night and five nights. The hotels would rather rent the rooms at a discounted rate than let the rooms go unoccupied. Of course, there are other travel apps that enable you to make same day reservations, but I like this app because the rates seem to be as low or lower than other those displayed on rival hotel apps and it simplifies the decision process a great deal because the number of hotels featured is usually limited to a fairly small number of quality hotels. I haven’t actually made a reservation with the app yet, but I still look at the hotel listings in the app on a regular basis because I find their hotels descriptions and photos interesting. The company that runs the app only features hotels that members of their staff have stayed at. The descriptions are concise and witty. Hotel locations are provided via Google maps. This is an image editing app from Google. It is similar to Photogene and other popular photo editing apps. It has some nice filters like Instagram. It enables you to share photos in a variety of ways and integrates well with Google+. The iOS version of this app was recently marked down to free from $4.99, so you really can’t complain about the price. I really didn’t need this aap because I already have Photogene and Diptic, but when it became available for free I had to give it a try. I like it a lot. The interface is very clean and easy to use. The app is designed for professional and advanced stock chartists. I have been a student of technical analysis for a couple of decades and I have used a wide a variety of PC based technical analysis programs and I think this app is compares very favorably to other charting apps and web based charting sites. If you are a professional trader/investor or an individual trader who has a serious interest in technical analysis this app is well worth the price in my opinion. The app integrates with StockTwits and enables you post charts directly to Twitter or post a link to a chart that you have constructed to another site, such as a blog. Real time quotes are available for an additional fee. 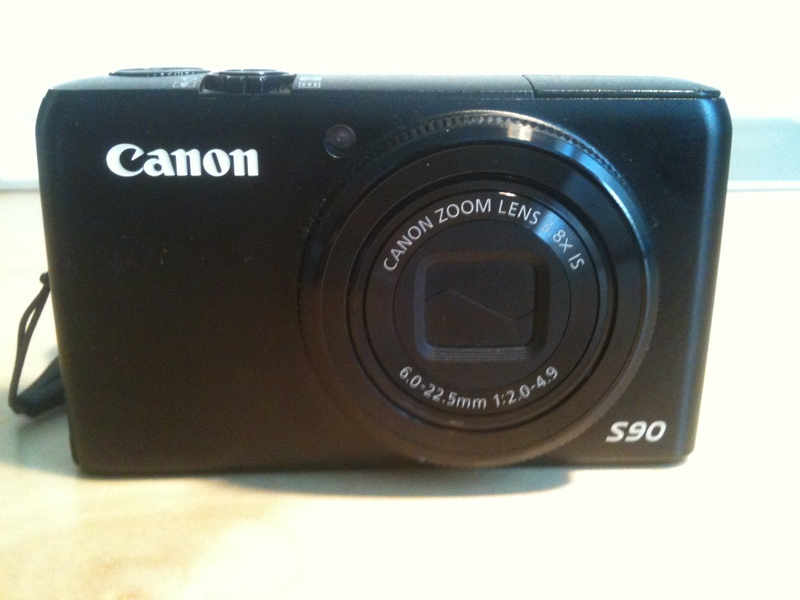 I bought my Canon PowerShot S90 one year ago and it has been a great camera. At $399.00 it was on the upper end of the price spectrum for a point and shoot, but it was well worth it imo. The S90 takes outstanding pictures, but it is small and light. Canon actually retired the S90 several months ago and replaced with the S95, which is basically an S90 with a few new bells and whistles, including the ability to shoot HD video. I’ve taken hundreds of pictures with the camera and it has proven to be quite durable. The enclosure is all metal and I’m glad it is because I’ve dropped the camera a few times on hard surfaces from a height of three to four feet and it has not suffered any damage. On a scale of 1 to 10 (10 being best) I would give this camera an 8. Here are several of my favorite pictures from the last year, including a few night shots. I think one of this camera’s strong points is that fact that it takes great pictures in low light conditions. 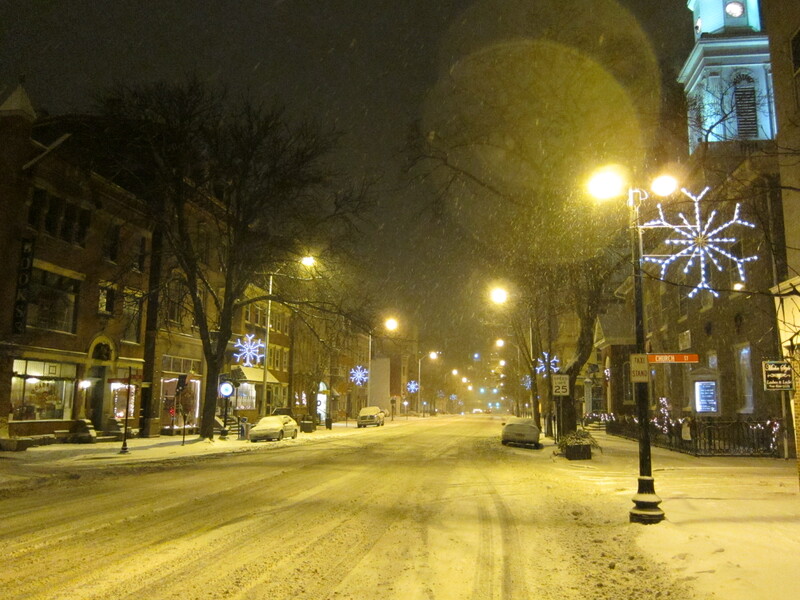 Christmas Snow Storm in Easton, PA. 2010. 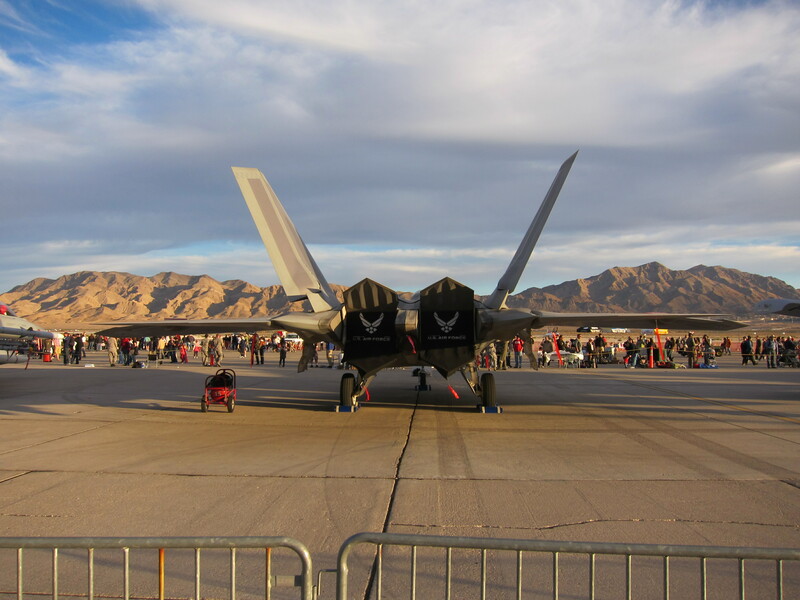 F-22 at Nellis AFB. Las Vegas. Nov 2010. View of Mission Bay and the Pacific Ocean from Kate Sessions Park, San Diego. 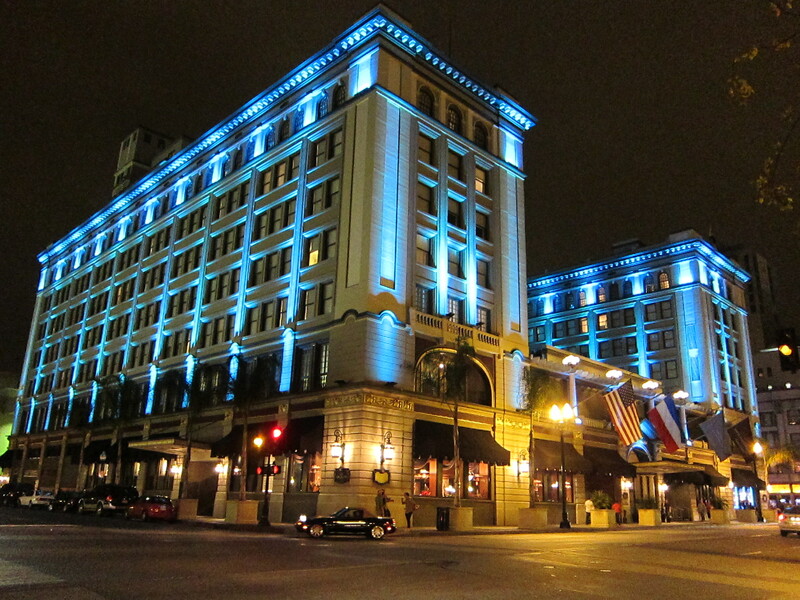 US Grant Hotel. Downtown San Diego. I purchased the Supertooth Disco bluetooth speaker several months ago via Amazon. I’ve used the speaker for a while now, with both my iPhone and my iPad and it works well. I paid around $135.00 for mine, but I see that this model can purchased for as low as $100.00 now on Amazon. There are quite a few small, portable bluetooth speakers on the market now, but I think the ST Disco is one of the best available for under $150.00. It is not the smallest bluetooth speaker out there, but it only weighs about 3 1/2 lbs and it is small enough to easily travel with. It is great for a bedroom, study or a hotel room. 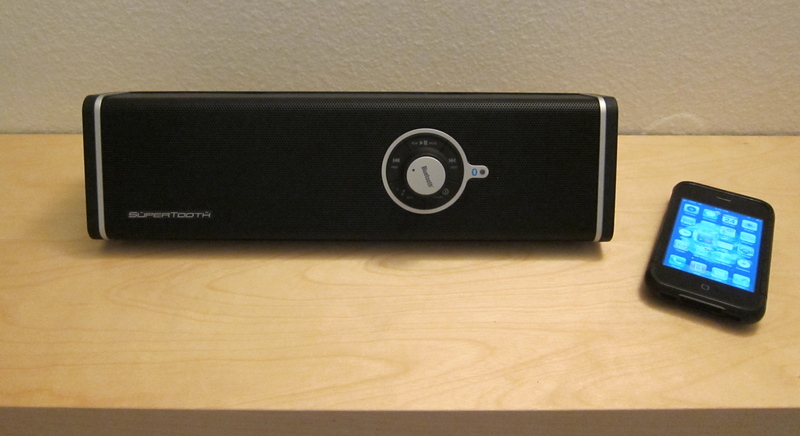 It is not a substitute for full blown high fidelity speakers, but with 28 watts I think it delivers good sound. The battery is supposed to be able to last 10 hours, although you can operate it plugged in as well, using the included AC adapter. The ST Disco also comes with a carrying case to help protect it on the road or outdoors. On a scale of 1 to 5 (5 being best), I would give the ST Disco a 4.